Adelaide Band 461 is the perfect blend of talented and vibrant musicians who have been entertaining audiences for more than a decade, from High Class Corporate Events & Outdoor shows to specialising in Weddings and Private Shows all over the country. When it comes to quality & professionalism Adelaide Band 461 has spared no expenses in their quest for the ultimate in sound & lighting. We run a state of the art hi-end speaker system for crisp, clarity to recreate your tunes and state of the art light effects for your visual pleasure. The band is also too willing to learn requested songs that are not on our song list. So we can cater for the small & intimate settings to the large full-scale events. 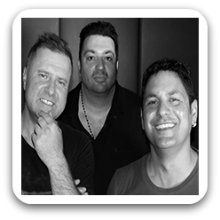 Adelaide Band 461 play the best party songs from the 50’s right thru to the latest Top 40 hits to make sure the party’s pumpin’. Adelaide Band 461 – the ultimate choice in live entertainment! Can perform as a: 3, 4, 5 and 6 Piece Band and are available to perform in Adelaide and Surrounding Areas.